The annual cost of termite damage to buildings in the United States is greater than that of fires, storms, and floods combined. No home or structure is safe from termites. There's an old saying in Texas: "You either have termites now, or you will." That's pretty much the truth of it. Unless your home was pre-treated during construction, termites normally begin to show themselves within ten to fifteen years. Termites are extremely well organized and can find a way inside any structure, regardless of its construction. Telltale signs of termites are a swarm coming out of your structure or mud tubes around the foundation. Typically, you don't know you have termites until they swarm out because they eat wood from the inside out, hollowing it along the grain. If you feel you may have a termite problem, then call our pest control company for a termite inspection. We’ll provide you with an evaluation and offer recommendations for termite treatment that will solve your infestation issue. How Do I Tell if I Have Termites? Did I Find Termites or Winged Ants? Although winged termites and winged ants are of similar sizes and appearance, it is possible to tell them apart. Termites have straight antennae, whereas the ones on ants are bent. The second set of wings on ants are smaller than the first set, and on termites, both sets of wings are the same size. Lastly, winged ants have a narrow waist compared to the rest of their body, and termites have a waist that is approximately the same width as the rest of the body. 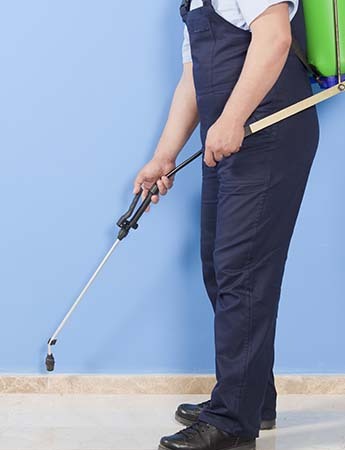 Through years of education, training, and experience, we provide your home or business with the best termite control and protection possible in Dallas, Texas. We also provide wood destroying insect (WDI) reports for home closings during the sale of a home as well as carpenter ant and other pest control solutions.